Labor shortages are raising wages in a variety of blue-collar jobs, says Glassdoor, a recruitment and wage-tracking company. 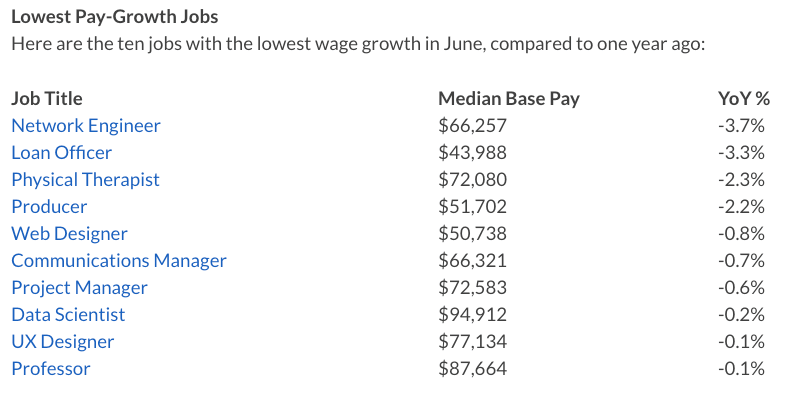 According to data from Glassdoor, jobs with the fastest pay growth in June included e-commerce roles such as warehouse associate (up 6.8 percent to $43,961 per year), material handler (5.1 percent to $36,179 per year) and truck driver (up 7.3 percent to $54,659 per year), as well as several lower-paying jobs including retail key holder (4.9 percent to $29,746 per year), security officer (4.7 percent to $35,554 per year) and bank teller (8.1 percent to $31,108 per year). 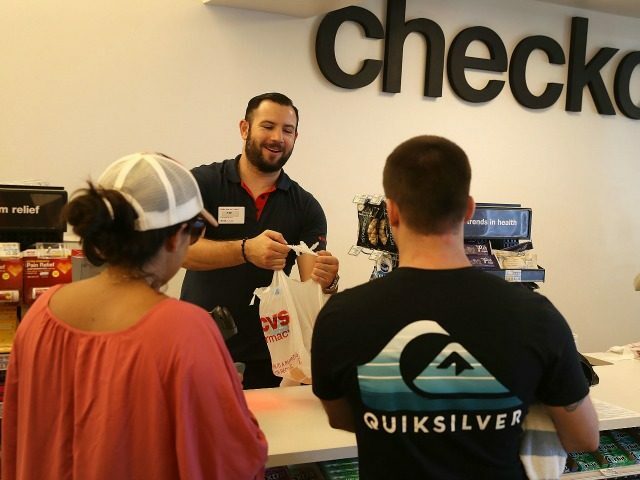 Wages for cashiers rose by 3.4 percent over the prior 12 months. These gains are offset by inflation, which is running about 2 percent in during the 12 months up to July 2018. That rate means a wage gain of 6 percent is a 4 percent gain in buying power. It also means that a salary loss of 2 percent is a 4 percent loss of spending power. Wage growth has since recovered in 2018, along with the improving economy, with pay growth rising each month this year. June’s 1.6 percent pace is the fastest wage growth we’ve recorded since October 2017. Still, the 2018 wage gains are small and come after decades of flat wages caused, in part, by the government’s high-immigration policies. President Donald Trump’s campaign to limit legal and illegal immigration is nudging up wages and salaries for Americans in various locations and careers around the country. The beneficiaries include new employees, African-American bakers in Chicago, Latino restaurant workers in Monterey, Calif., disabled people nationwide, high schoolers, resort workers in Hilton Head, construction workers, Superbowl workers, the garment industry, and workers at small businesses, and even Warren Buffett’s railroad workers.